While he arguably does not act maliciously, and is not an evil character, he is certainly both short- and ill-tempered, which has made him very unpopular with the student body. 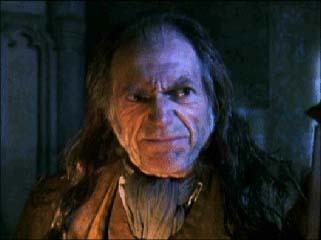 Filch's attempts to enforce the letter of rules against activities such as being outside the dorms late make life very inconvenient for Harry Potter and many of his friends. His knowledge of the secrets and shortcuts of the castle is nearly unparalleled. Argus' occupation was Caretaker for Hogwarts, in Hogwarts. Argus has an unspecified social relationship with Mrs Norris (My sweet). This page is within a frameset. View the entire genealogy report of Filch families, or surname index of Filch pedigrees or report summary Filch heritage from 'Harry Potter Family Tree'.